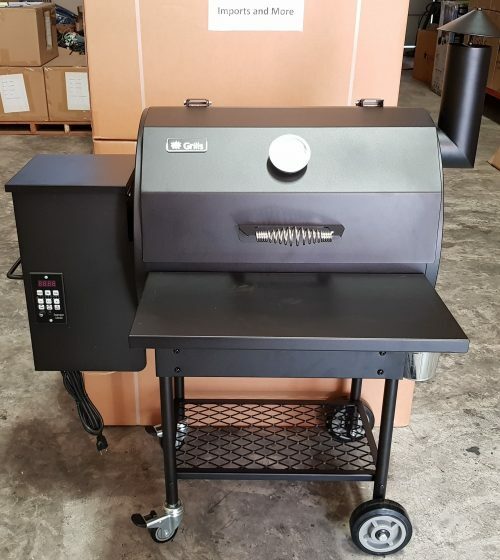 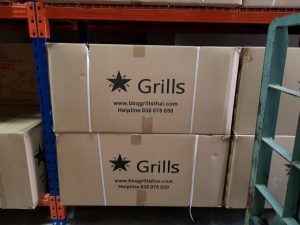 If it’s top-notch grilling performance and well-thought-out design you’re looking for, you’ve met your match with this Texas 6 burner BBQ grill. 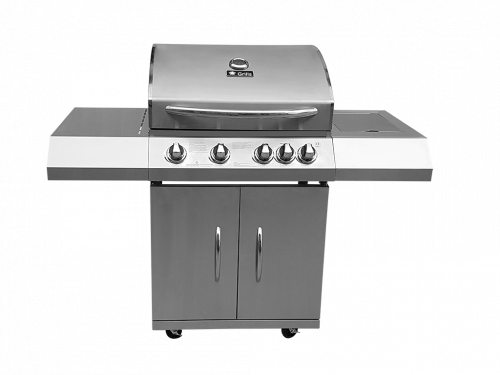 Our Texas BBQ features a stainless steel, double-wall firebox that houses 6 stainless steel burners, delivering 90,000 total BTUs. 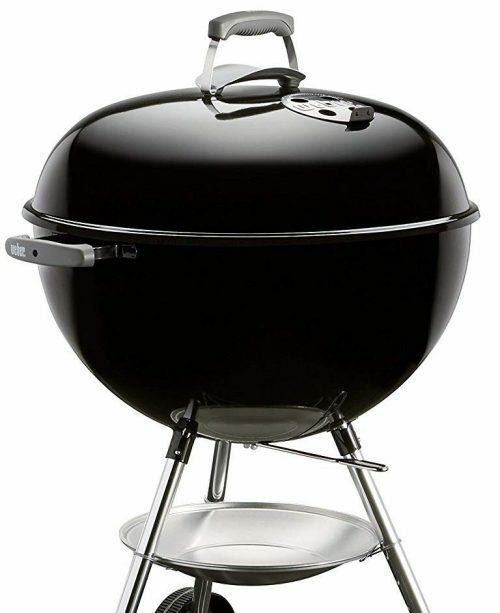 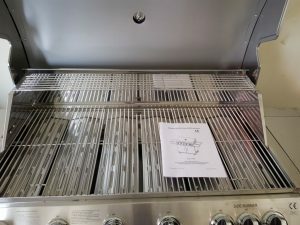 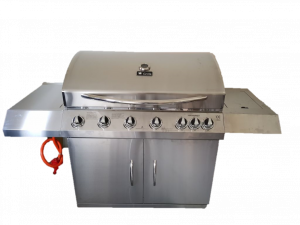 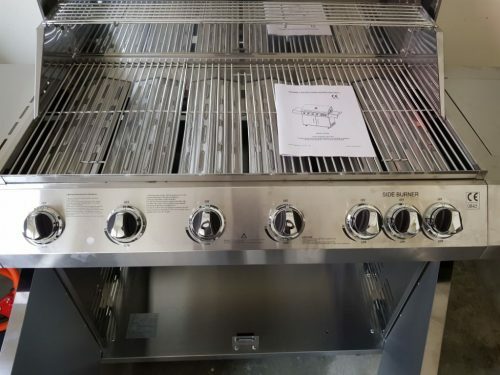 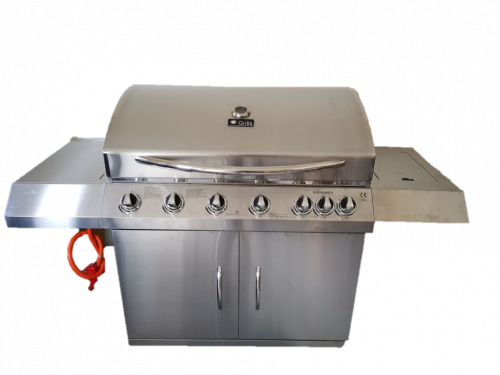 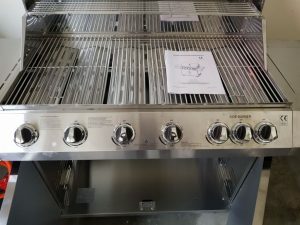 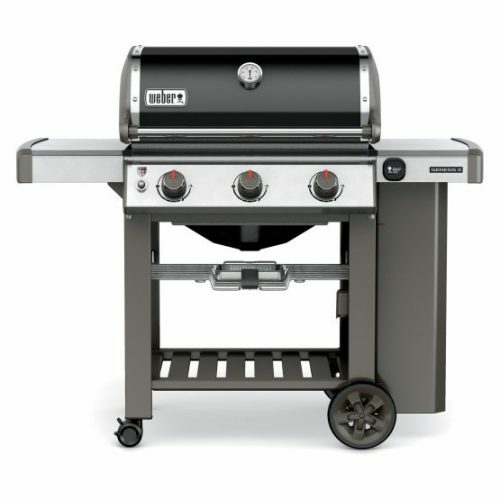 Add the stainless steel, 12,000-BTU side burner, and you’ve got a complete grilling/cooking solution that ensures fast, high and consistent heat over 750 square inches of cooking space.